Cecilia Locke is the Director of Student Support Services at St. Gabriel’s Catholic School. 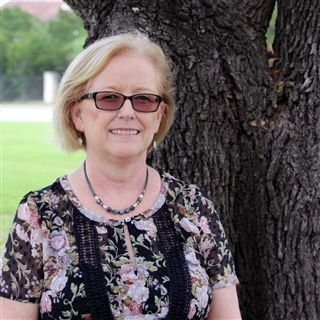 She joined the St. Gabriel’s family in 1999, bringing with her 20 years of teaching experience. Cecilia loves to teach because she is passionate about helping students learn. A native of West Chester, Pennsylvania, Cecilia earned one bachelor’s degree from St. Edward’s University, another bachelor’s degree in Montessori Education from Widener University, and her Master of Arts in Counseling from St. Edward’s University. In her spare time, Cecilia loves to garden, spend time with her dog and three cats, enjoy a healthy salad, or plan her next dream vacation to Ireland. You can reach Cecilia at: CLocke@sgs-austin.org.